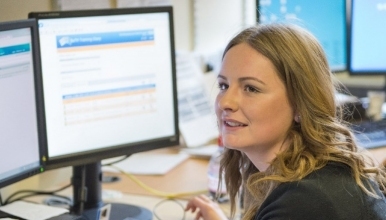 Based at The Royal Shrewsbury Hospital, we are looking for a motivated, ambitious individual of any age, to join the Nurse-led Anticoagulation Service as a Clerical Apprentice. This sought-after NHS Apprenticeship comes with the benefit of on-site training (no need to travel), free parking for the duration of your Apprenticeship, and all the other benefits and discounts of being an NHS employee. The NHS is a nationally well-respected employer, providing you with a superior stepping stone to your working life and future career. Candidates who are successful in their Apprenticeship and are shown to live our Trust values, are likely to be offered a permanent position within the Trust at the end of their Apprenticeship. The Apprentice role is targeted for someone who would like to develop a career in administration in a busy healthcare setting but at this stage does not have the necessary qualifications or experience to take that first step. You will have the opportunity to complete the Business and Administration Intermediate Apprenticeship at Level 2 over a course of 13 months. You need to demonstrate a commitment to learning with an enthusiastic approach to your learning. We will provide a friendly and supportive team for you to work within to help you develop your skills. We will provide time for you to gain your qualification and give you experience of working in an NHS environment. The Anticoagulation Service is a busy team of Nurse Specialists and Clerical staff providing anticoagulation management to patients in the County of Shropshire. The team is based at The Royal Shrewsbury Hospital. The service is a telephone and postal Service so all patient contact/consultations are made over the telephone. We have a caseload of approximately 7000 patients.